I noticed an article that mentioned Drexciya in an end of year round up which bemoaned how every white kid that comes in to the Dope Jams shop in New York “talks about how great he is yet can’t show us what dope track they have done.” I can actually understand why this might be the case (there is so much material and there are tracks that only work in the context of an album or 12" or are just plain weird but enjoyable). The full text of their gripe went, “$100 Gift Certificate to anyone who can tell us what the good Drexciya track is!!! (Hallstrom that includes you!) I know this one is going to ruffle some feathers but I don't care. I don't understand the infatuation with Drexciya. Every white kid that comes in here talks about how great he is yet can't show us what dope track they have done. I've listened to the comps. I've listened to youtube videos and mp3's people have sent me and I don't get it. It just sounds like mediocre techno to me. I will never understand why they get the praise they do.” Link to original article here. I decided to help these “white kids” out by doing a top 3 for Drexciya. I did consider a top 10 but sadly I realized this is way too many to really register with people, even 5 is probably too many as well but 3 is the magic number and it meant the real essential stuff in my opinion got listed (although as you will see I did manage to kind of do a top 5 anyway). The criteria I used in selecting these “dope tracks” was that it had to work on its own, grab your attention, sound kind of timeless and might make you want to know more about who did it. My selections are obviously very subjective but it made me revisit my collection and I’m already looking forward to delving into the rest of the material for my next choices. Feel free to send in your own in the comments box, I know they will all be very different from mine but we all get another excuse to delve back into their work. It’s a bit of fun but an interesting subject they raised nonetheless, you might even be able to claim that $100 gift certificate from them! Right back to the first Drexciya 12”, Deep Sea Dweller, for this one. Already 20 years old but I’d feel very confidant playing this one out anywhere. It is primitive but very loose and playful with loads of the Drexciya signatures already in place. I love it when the high frequency stuff comes in. In the current issue of The Wire Ricardo Villalobos talks about music you can either listen or dance to and I think this is one of those tracks. I couldn’t find a single version of this on YouTube that didn’t have static or else had transfer issues so best to listen to your own copy to appreciate it best. Also available on The Quest (1997) and Journey of the Deep Sea Dweller III (2013). From the Neptune’s Lair album. This track just leaps right out of the gate and attacks and is one tune you have to move your body to. If I’d limited this to just one track (which I thought about) then it may have been this one. It’s been included already on a few significant compilations including True Spirit on Tresor in 2002 and by Miss Kitten on her Bugged Out mix in 2006. This is the closing track on Harnessed the Storm and is quite simply the lost pearl of their catalogue for me. Possibly their most fully realized and elegantly constructed track that can again be danced or listened to and I can’t really say much more about it except listen. Mention must also go to this track from The Journey Home as it now has a combined viewing of almost 350000 on YouTube (their highest rated video) which has got to be recognized as some sort of democratic vote on what the public think. I like it too. Available on Journey of the Deep Sea Dweller I (2011). While it’s a little extreme all 7 minutes plus of ‘Hydro Cubes’ from Molecular Enhancement 12” has got to be a contender too. Maybe more of a fan favourite though as it just might scare a lot of other people off but it is certainly a dope tune, one of their best. Also available on The Quest (1997). I would definitely choose something from Neptune's lair, I absolutely love it. Andreaen sand dunes has always been my favorite, triangular hydrogen strain comes a close second... And let's say... Digital tsunami as the third. It's really weird with Drexciya, I heard everybody worshipping them, but at first (at 16 till about 18 years old) I thought the name was too weird to check it out. Then when I was 18/19 I checked out Neptune's Lair and I really, really hated the album. It sounded exactly like the description the guy made: like mediocre techno but with horrible production and weird sounds. Then I ignored them for about a year and out of the blue heard Aquabahn on a liveset of Aphex Twin. I was amazed at the watery sounds on it. Then I found Depressurization. That track changed everything. The underwater video that accompanied it (that is no longer on youtube), the flangers, etc. Drexciya made sense. I became so obsessed with that track... then I saw Aphex Twin live and he played Arpanet´s No Boundry Condition. From then on I got it. I slowly started researching Drexciya by now (thanks to this site for 99%), and found two of my favorite tracks of all time; Transllusion's Dimensional Glide and Undersea Disturbances. But I was still 'scared' to listen to Neptune's Lair, I hated it so much back then. I put it on and was just BLOWN AWAY by Species of the Pod. Now I own it on CD and vinyl and is one of my fav albums of all time (23 now). I guess it really takes time to 'get' Drexciya, it took even longer to appreciate then I did with Autechre. You can't see their power from the surface, you really have to dive and dwell into the deep to understand. Well we live in an era of people listening to some of the most advanced music on their macbook speakers. Very few are stopping to think something like, "wait, how did he get that beat on Arpanet - Illuminated Displays to sound soooo huge? ", because they'll never hear whats special in any tracks. These people can't be catered to. Birth of New Life is a beautiful track. I'd put it in my Top 3 if I had one. Sighting In The Abyss. Period. "You can lead a horse to water but you can't make it drink." 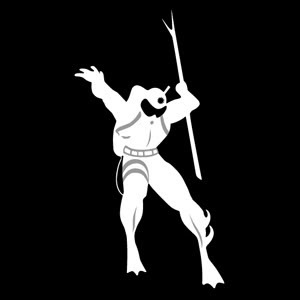 Deep Sea Dweller was the first Drexciya record I owned and Sea Snake has remained one of my total favorites. Guess I'm partial to their mellower side. Birth of New Life is a stand out in this regard. My other top tracks are Doppler's Infophysics and Elektroids Midnight Drive, and Der Zyklus Formenverwandler. heck its impossible to limit my faves tho... upbeat jams are Der Zyklus Mxyzlptlk, Japanese Telecom Nipponese Robots and Doppler Master Organism, with all of Gesamtkunstwerk a close second!! I had literally never heard of them until half an hour ago - currently listening to Lost Vessel on the post's recommendation, and it's interesting. Like a cross between chiptune music and DAF (the bassline). By spooky coincidence the Dope Jams store mentioned in the first paragraph closed a couple of days before you posted this. I think you're absolutely spot on with ‘Birth of New Life’. I have listened and DJ'ed this tune more than anything else in their catalogue. However, I think Neptune's Lair is a really impressive body of work. The deep levels of eccentricity and in-jokes make it without a doubt my overall favourite. I love the minimal quality and repetition in some of the tracks. The tones are perfect throughout. For me, that's one of the most impressive elements in their music, the right sounds in the right places. What amazing musicians they were.